With Major League Baseball’s trading deadline (4 p.m. ET today, Thursday, July 31) rapidly approaching, Wednesday seemed like the calm before the storm. Although rumors circulated wildly through both leagues, action was limited to a handful of relatively minor deals, one of which involved former Cape Cod Baseball League All-Stars Justin Masterson and James Ramsey. 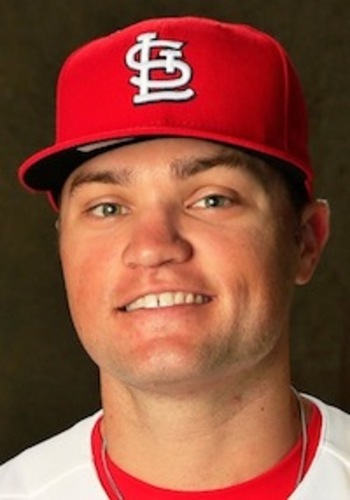 St. Louis acquired veteran right-handed starter Masterson (Wareham, 2005) from Cleveland for outfield prospect Ramsey (Y-D, 2011) as the Cardinals attempted to strengthen their rotation for the stretch run. St. Louis (56-50) trails National League Central leader Milwaukee by just 2 1/2 games and is one game behind Atlanta in the NL wild-card scramble. 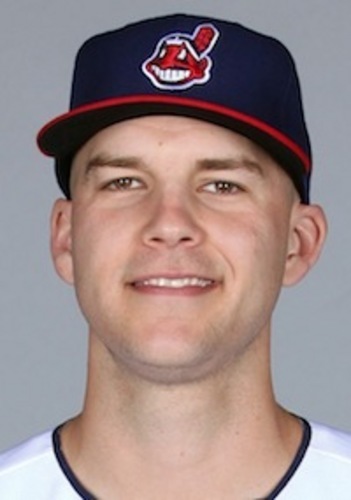 Masterson, 29, has been hampered by a knee injury through most of this season, probably the reason his ERA has risen to 5.51, his walk rate has increased to 5.1 per nine innings and his fastball velocity has fallen to an average of 89.1 mph from 91.6 mph in 2013. Last season, the big right-hander posted a 3.45 ERA and averaged 9.1 strikeouts and 3.5 walks per nine innings. The defending NL champion Cardinals have been searching for rotation help for weeks. Just about every available starter has been rumored to be coveted by St. Louis, including David Price. But as of late morning on the final trading day, Tampa Bay’s Price still hadn’t packed his suitcase. It remains to be seen whether Masterson, who is coming off a rehab assignment in Columbus to test his gimpy right knee, can provide the stability needed in the Cardinals’ rotation, which is struggling through injuries and inconsistent starts by Michael Wacha, Joe Kelly (Y-D, 2008) and Shelby Miller. Adam Wainwright and Lance Lynn have been reliable at the top of the rotation and Carlos Martinez continues to pile up innings. Considering Masterson’s age and health issues, the Indians may come out on top in this deal. They’re getting a 2012 first-round draft pick (23rd overall) out of Florida State who was ranked seventh among Cardinals’ prospects on Baseball America’s midseason list. The 24-year-old left-handed batter has been playing at Double-A Springfield this season, hitting .300/.389/.527 with 13 home runs in 281 plate appearances. MLB.com’s Jim Callis and Jonathan May say Ramsey has the speed to play center and the arm to play right. He has a good eye at the plate, drawing a fair number of walks, and has shown unexpected power. He missed 22 games following a mid-May shoulder injury suffered when he ran into an outfield wall and he missed some time in June with an intercostal muscle strain. The Cardinals considered him expendable because of their organizational depth in the outfield. Despite his offensive success and his solid defensive play, the Cardinals kept him in Double-A because of an outfield logjam at Triple-A Memphis, where two legitimate prospects, Ramsey’s 2011 Yarmouth-Dennis teammate Stephen Piscotty and Randal Grichuk, plus veterans Thomas Pham and Shane Robinson (Hyannis, 2004), were fighting for playing time. The Indians immediately assigned Ramsey to their Triple-A club in Columbus.